RC-YoWhatsApp is the pure iOS styled WhatsApp Mod when you apply the iOS theme in addition to it. Also, you will find some different kinda UI Styles in the setting section. Surely, You would love these RCYOWA features. I want to all you know that this is also developed using the YOWhatsApp as like the FMWhatsApp by Fouad mods. But there is a lot of difference in these mods even though the source code is 90% Identical. If you want to descargar RC-YOWA for your android device, then you are at one of the official pages. Here you will get a direct download link of your desired WAMOD. 1 What is RC YoWhatsApp APK? 3 How to Install RC-YOWA APK? 3.1.2 How to Apply Themes? What is RC YoWhatsApp APK? Follow RC-Mods on Twitter to know the latest updates from the Richar Correa. And Do you want to show some love towards the developer? So, here is the Paypal Link to donate some bucks. That makes him to concentrate more on this RCYOWA Development. Anyway get back to our business. RCYOWA can help you to use dual accounts on your Android device since it has different package names. So, it is the only possible way to fool the WhatsApp team, but you can’t be able to use the same account on different devices. By the way, the download link is available below. Are you interesting to read it’s features? If yes, then dive into it to clarify what you are getting. Updates – It would take time to get the latest update. Home Screen Customisation – You can change the colour what you want. And there are different styles available too. 5 Minute Status – Only a few people who are using YoMods, Fouad Mods, and RCMods can view this. Conversation Screen – Change colour in most of the parts, can add your picture, Tick Styles, bubble Styles and many more. Backup – Option can able to backup whole data including login details. Password – You can add Pattern/Pin/Fingerprint to the RCYOWA with recovery question. Hide Media from Gallery – Even you can add custom hiding. In other words, you can hide Photos, Videos and GIFs as per your requirement. YoThemes – All YoWa themes are applicable with this RCYOWA. 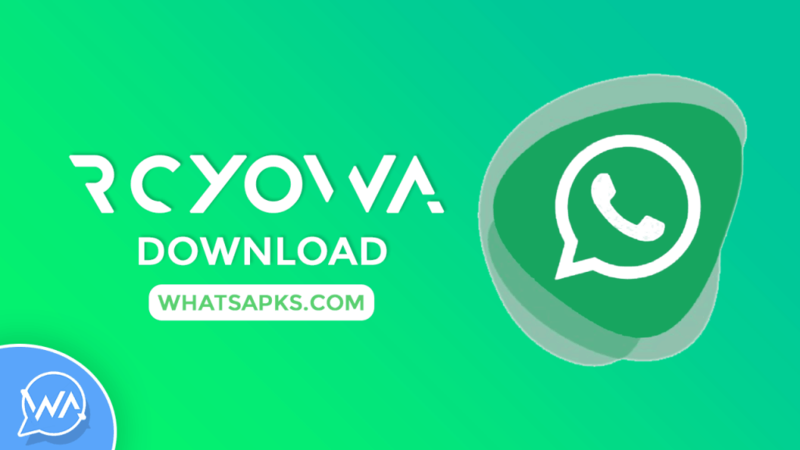 How to Install RC-YOWA APK? At first, take a backup from the Official WhatsApp if you are migrating from Official one. I think Google Drive Backup is working with this application. I am not sure about this. Please let me know if anyone tried this yet. Step 1. Download RC YOWhatsApp from our page. Step 2. Install the application by enabling the unknown sources if you are new to this type of installation. Step 3. Open the app and login into your account. Now everything is fine. Go to the Yomods and Customise yourself. 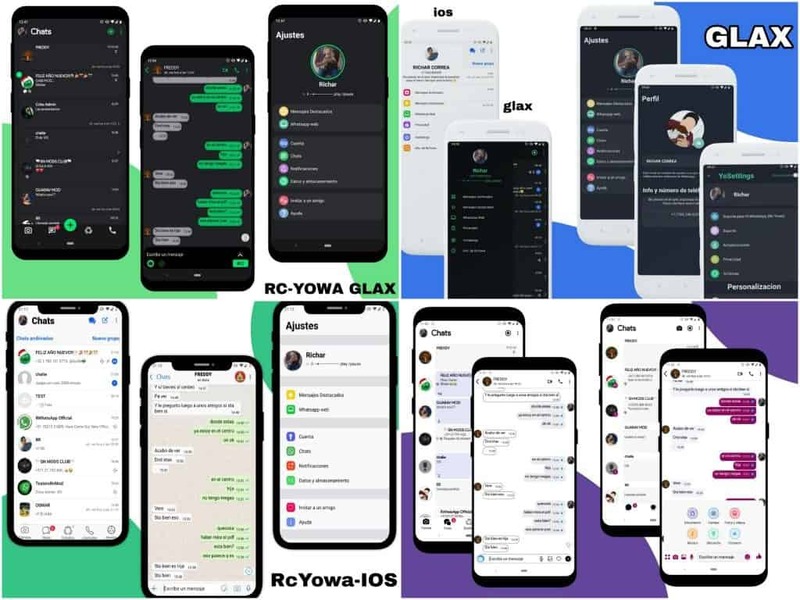 These themes are specially made for RC YoWhatsApp APK by the developer Richar Correa. In my case, these are the best suitable ones for this android app. Unzip the themes zip file. Select the .xml file from the Storage. Its all about downloading and installing RC YOwhatsApp on your android device. I hope this app full fill your iOS dream at least in the usage of WhatsApp. Even, RCYOWA themes are quite impressive to me. Try all of them and don’t stick with only one. Any doubts regarding this application? Let me know via comments. Rate this article. hey adimi it’s a great version of WhatsApp you brought for Android lovers with ios touch.. but when will you upload the latest 7.90 WhatsApp? based on 2.19.34. It will be available soon — the developer working on it too. Oye descargue la app pero no me deja usarla por que no esta actualizada. Sacala pronto en serio… se ve increible!! ya quiero usarla! !